Harvest Fest is TODAY: from 5 – 7 pm. We will have food, games,hayrides, smores, pumpkin decorating and of course, to end the night, “Trunk-or-Treat”. All events are free, except food will be available for purchase. This event is designed to be a fun and safe alternative Halloween celebration. We encourage costumes and decorations as long as they are not scary or ghoulish. We have little children who will be in attendance and want it to be a fun event for everyone. Most important we want to honor Jesus in everything we do. Daylight Savings Ends: Make sure to get your extra hour of sleep before worship next week. 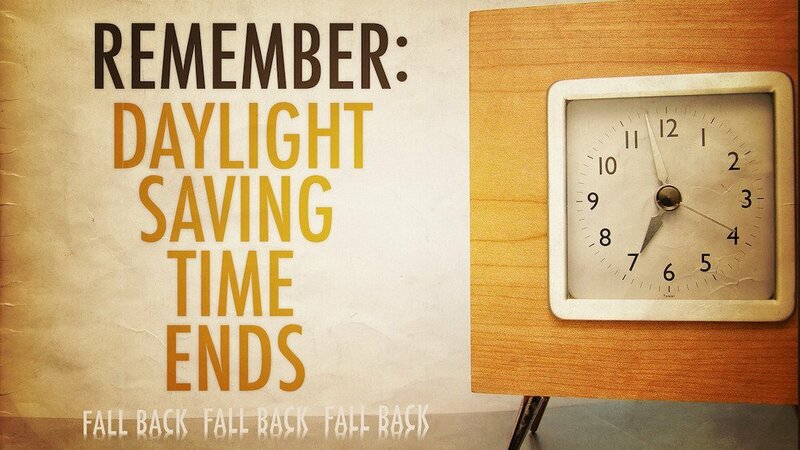 Next Sunday we “Fall Back.” Set your clocks back one hour before going to bed on Saturday Night.